Just a quick post, because what I read at Joshua Porter's blog somewhat alarms me: Facebook?s Brilliant but Evil design. I feel more and more reassured at why I don't use Facebook and have a bad feeling about them. The gist is this: when you buy something at a participating web site (Ethan Zuckerman shows how it is done at overstock.com), Facebook discloses to that 3rd party web site, that you are a user of Facebook, and hands over some more details about you — while you are only visiting that 3rd party page (and not facebook.com)!! This goes against the idea of separate Domains on the Internet. Joshua fortunately also goes into technical detail, how this could be done. In my opinion Facebook users should quit the service and heavily protest against these practices. But I am afraid, few of them will even notice that this is happening. That's web2.0: giving too much power to site owners, and the end result is having too much control over user's privacy. 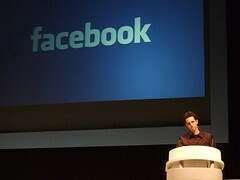 Facebook is one of those communities proving the idea behind Web2.0's privacy issue.